Raluca joined our gym last year and she started working our regularly, taking classes and also controlling her diet. 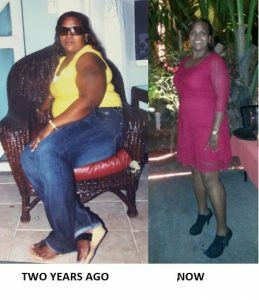 She lost over 20 lbs and feels great, her energy level is higher than ever and she’s determined to keep up the healthy and active life-style. Congratulations to Lorenza Kissoon, our Member of the Month! Lorenza started to workout in our gym a while ago and she had lost over 100 lbs in 18 months. Lorenza is rewarded with one month free gym membership – Keep Up the Great Work! 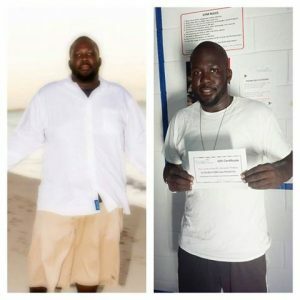 Our Gym member, Ashwood Forbes, has lost 60 lbs through hundreds of workouts, diet, dedication, perspiration and commitment. GracewaySports Centre supports his efforts with One Month FREE Gym Membership. Congratulation, Ashwood, keep up the good work! 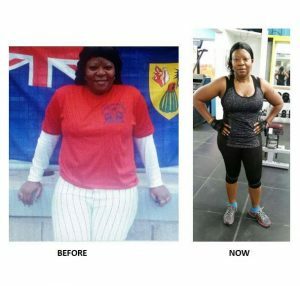 Paula has been a loyal member of the gym for over a year and she took her training sessions seriously. 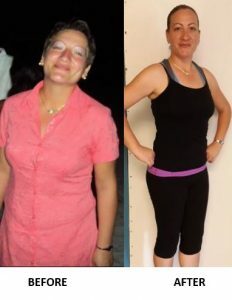 She made a commitment to changing her life style and achieved amazing results. Paula lost over 25 lbs and she’s continuing her quest to a healthier and fitter body.